Welcome to the official webpage of the International Conference on Architecture, Landscape & Interior Design (ALI 2018). This conference will be held on 27 January 2018 in Kuala Lumpur, Malaysia. ALI 2018 will be organised by New Zealand Academy of Applied Research Limited (NZAAR). ALI 2018 will provide a unique international platform for sharing new knowledge and academic findings of the recent scholarly studies and practical experiences in the broad spectrum of architecture, landscape & Interior Design. The main target of the conference is to efficiently engage academic researchers and industry practitioners towards sharing viewpoints and debating on the cutting edge research implications leading to effective and global knowledge contributions. All registered and accepted extended abstracts/full papers will be published in the respective conference proceedings. 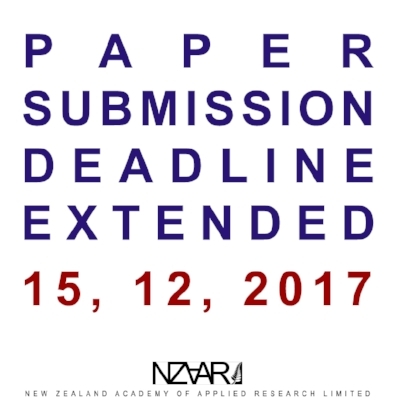 All accepted papers will be published in the conference proceedings titled The 4th NZAAR International Event Series on Natural and Built Environment, Cities, Sustainability and Advanced Engineering ISSN 2463-5960 (Print) ISSN 2463-5979 (Online) . ALI 2018 publishes extended abstracts & full papers incorporating cutting edge research within the spectrum of trending concepts. To REGISTER for ALI 2018, please follow the link provided below.